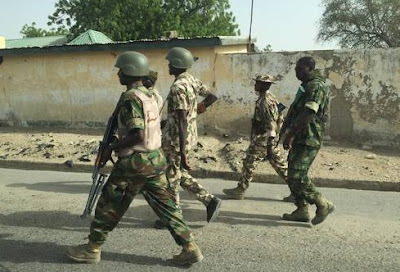 The Nigerian Army’s counter-terrorist Operation Lafiya Dole announced on Thursday that 68 Boko Haram terrorists have surrendered and denounced terrorist activities over the past three weeks due to intensified military operations against the terrorist group. In a statement issued by the Deputy Director of Public Relations for Operation Lafiya Dole, Col. Onyema Nwachukwu, the military urged all Boko Haram insurgents to reconsider the lives they have chosen and discard the murderous and hypocritical ideology their leaders espouse. “Troops in the last few weeks have intensified the onslaught against Boko Haram terrorists through coordinated air and artillery bombardments of terrorists enclaves across the theatre. These bombardments are backed by long range patrols and ambushes targeted at preventing fleeing Boko Haram terrorists from escaping and also denying them access to logistics supply,” the statement read.